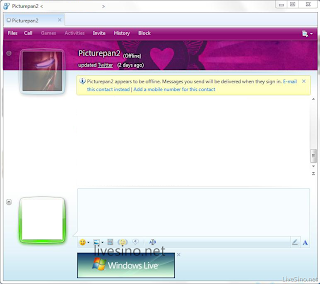 "The new year starts interesting: More screenshots of Windows Live Messenger Wave 4 have been discovered by the Chinese news site LiveSino.net. Windows 7 enhances your task bar with new features, like multiple taskbar thumbnails for the same application, as well as toolbar interfaces. They allow applications to offer small in-thumbnail toolbars with the most-used functionality. Messenger Wave 4 will make use of these toolbars: You can change your status directly from the taskbar. Messenger 2009’s Windows 7 bug, showing 2 buttons for the Messenger main window, has been fixed..."